Dr Vijay Prakash Sharma did PhD in Neuroscience in 1981 and after that he worked with Zoological Survey of India for 5 years and then he worked with Silk Organization of India for 30 years. He has written 157 research papers and has also published his magazine, Member of International Live Sciences Bodies. He has been awarded a few gold medals, 2009 ZSI, 2010 ISIID, 2011 INS Bangkok in 2012, Dr Baba Jadhav Memorial Gold Medal 2013, True Education & Excellent Research Scholar Award 2014 and Global Achievers Award Singapore. He is working as the principal of Alpine Group of Institution since 2012. Sericulture or silk farming is the cultivation of silkworms to produce silk. Silkworm larvae are fed with mulberry leaves and after the fourth moult, they climb a twig placed near them and spin their silken cocoons. This process is achieved by the worm through a dense fluid secreted from its structural glands, resulting in the fibre of the cocoon. 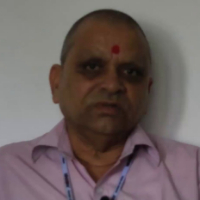 "After doing my PHD in Neuroscience in 1981, I have worked with Zoological Survey of India for 5 years and after that worked with Silk Organization of Government of India for 30 years. I have published 157 research papers and have been awarded with National and International Gold Medals in various fields. I am working as the principal of Alpine Group of Institution since 2012."